Guest blogger – Mhairi McGaan, Deputy Catering Manager for Dundas Castle. Our approach is simple – to create and serve food with talent and flair, which uses the finest local ingredients yet represents excellent value for money. Prestige Venues and Events sources and showcases the finest local and seasonal ingredients in our dishes, all our produce is traceable ‘from farm to fork’ and we cultivate personal relationships with our suppliers. This partnership ensures we are continuously striving to uphold the highest possible standards of food production. 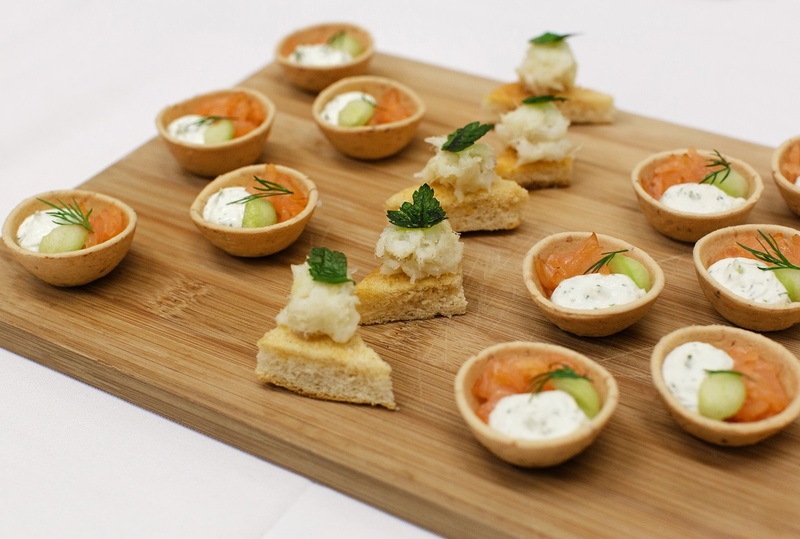 We are passionate about observing and celebrating the seasonality of Scottish food, and as such are committed to producing dishes which reflect the best possible produce available at the time of your event. Our approach is based upon serving freshly produced menus which push the boundaries of creativity and innovation, and are not only good for you but also for the local environment. Prestige Venues and Events’s commitment to locally sourcing our ingredients is reflected by the fact that over 70% of the produce from our top suppliers is grown or reared in the UK. Our purchasing team have ensured that 100% of our milk, cream, baked items, fresh chicken, pork, lamb, beef, haggis, black pudding and fish are Scottish. While we are truly committed to sourcing local produce where possible, due to the seasonality of Scottish fruit and vegetables all products cannot be Scottish all year round. Therefore our executive chefs and our supplier, Fresh Direct, strive to ensure the food we serve reflects what is currently in season in Scotland, and to capitalise upon the fantastic variety and quality of fruit and vegetables our country has to offer. All our milk products are sourced from the picturesque Graham’s Dairy Farm in Bridge of Allan, just North of Stirling. The third generation of the Graham’s family ensure their produce is consistently of the highest quality, by maintaining the founders’ dedication and passion – their cows truly are their pride and joy. The cheddar featured on The Dundas Castle Breakfast Menu, as well as various other dishes, is sourced from the Sgriob-ruadh Farm on The Isle of Mull. This small family run farm is the only dairy farm on the island and prides itself upon ensuring the cheese is produced as naturally as possible. They do not pasteurise their milk or even add any colouring whatsoever to their products. The cheese is therefore whiter in winter when the cows are fed hay, as opposed to the fresh grass they graze in the summer months. Jeff and Chris, our suppliers, are exceptionally proud of the fine cheese which their farm produces, and we are equally happy to feature it on our menu. The fantastic range and quality of Scottish meat available on our menus is the direct result of a strong 32 year partnership with our meat suppliers Campbell Brothers. They are catering butchers with an expertise in sourcing quality meat and butchering them into cuts that fit our individual client’s requirements. Campbell Brothers have always believed in traditional values; service, quality, respect, loyalty, team work and authenticity. They have constantly striven to develop these beliefs through their 100 years in business, and in so doing have succeeded in establishing a reputation for service and quality in all that they do. Our commitment and passion to serving local Scottish produce is shared with Campbell Brothers, alongside our philosophy of ensuring the food we produce is traceable ‘from farm to fork’. All of our fresh chicken is sourced from a variety of farms, through Avondale Poultry, and each and every one of our eggs is laid by a free range hen in Scotland. The beautiful Scottish pork and bacon featured on our menus is all sourced from Robertson’s in Ayrshire. Since 1870 the Robertson family have been producing quality Scottish pork in Ayrshire. Little has changed in terms of quality, recipes and service, although the highest modern standards of hygiene, processing and refrigeration are applied throughout the plant. The original John Robertson was followed into the business by his sons Robert and Andrew. In due course, the reins were taken up by John, Dennis and Humphrey, all sons of Robert Robertson. The current Directors, Iain and Humphrey are great-grandsons of the founder and their sons, Gareth and Barry continue the line. Iain and Humphrey have been involved in the company since they were children, working during school holidays gaining knowledge and understanding of how the business operates. Their recipes are traditional, handed down through the family, and they are now the only producers of genuine Ayrshire bacon in Ayrshire! The Company has a full export licence and are members of the ‘Farm Assured from Scotland’ scheme run by Quality Meat Scotland. Robertson’s smoked meats are prepared in their own smokehouse, and we only use wholesome cuts of pork for our sausages with a natural balance of fat to lean with no extra fat added to bulk the meat out. All contain a minimum of 65% pork to ensure a succulent texture and the full flavour that makes these sausages famous. The delicious Scottish beef we are delighted to serve at Dundas Castle is sourced from various high quality farms across the country, including Pickard Farm in St Andrews and Meikle Farm in Perth. This quality is retained in our fresh lamb which is provided by The Argyll Hill Lamb Group, chaired by Angus Macfayden who works alongside his own father and son. This group are committed to producing consistently delicious Scottish lamb, and to ensuring their company is benefitting the local community. For example, the business has taken their product and team into schools in the Argyll area in order to educate the local children about meat production and healthy eating. Traditional Scottish products still feature on our menus and we are proud to source our haggis and black pudding from an excellent family supplier on the outskirts of Edinburgh, currently being run by the fourth generation of the same family. Prestige Venues and Events recognises how lucky we are to operate in a country famous for producing beautiful fish and other seafood, and as such we strive to source as much of these products as we can from Scottish waters. The majority of our seafood is caught in the North Sea or Northern Areas and dispatched from sites around Scotland. Scotland boasts a beautiful, varied coastline and our waters are home to a great number of high quality fish species. Fishing is a way of life in coastal areas of Scotland, and the people who thrive on the industry demonstrate extraordinary dedication and passion for their products. Alongside our commitment to serving Scottish fish, we also believe that our fish should come from fisheries which are well managed and sustainable. This is mirrored in the company wide goal of becoming Marine Stewardship Council certified – assuring all our fish is reared and caught in a truly sustainable manner. While our focus in centred on sourcing and serving fresh, seasonal, local seafood today, we also recognise our responsibility for ensuring such delicious menus are continued to be enjoyed long into the future. Prestige Venues and Events are particularly proud of our ongoing partnership with M&J Seafood, as they also demonstrate a great deal of commitment and achievement in ensuring the fish we use is sustainable, local, of the highest quality and traceable ‘from farm to fork’. This genuine commitment has resulted in M&J Seafood establishing the “British Skippers” programme, which is working towards ensuring fish is caught locally and responsibly, and additionally that chefs and buyers are able to access the latest information on today’s catch to ensure the dishes designed and produced are not only concocted from the freshest high quality produce, but are also reflective of the seasons and trends in the fish market. One of the products which we are proud to showcase on many of our menus at Dundas Castle is Scottish Shetland Salmon. Whether smoked or fresh, our partnership with M&J Seafood ensures that each meal features ‘natural choice’ salmon farmed on RSPCA farm assured premises, and fed exclusively on sustainable organic feed. The achievements of M&J Seafood in relation to sustainability have been formally recognised by the Billingsgate Sustainable Award 2008, and the SeaFish Sustainable Future Award 2009 both being bestowed upon the company. Truly emulating our philosophy on food, Craigie’s Farm is a small family run farm less than 5 miles from Dundas Castle which prides itself on using their own freshly grown seasonal produce to make absolutely delicious jams and marmalade. The Sinclair family have been farming for over 200 years, and John Sinclair currently owns and runs Craigie’s Farm along with his wife and family. The family have been producing their jams and marmalade using traditional methods handed down from John’s Great Grandmother since 1985, and has used their success on the farm to invest in local community projects and ensure the farm is a sustainable enterprise which continues to thrive. Prestige Venues and Events are proud to guarantee that all the freshly brewed tea and coffee served to you, your family and your guests at any event is Fair Trade. We believe the people who produce our food should take as much pride in its production as we do in the preparation and service. Prestige Venues and Events do not include any form of genetically modified ingredients within our dishes. The often quoted “does not knowingly contain genetically modified ingredients” is simply not good enough, we ensure all out suppliers can honestly guarantee that no trace of genetically modified ingredients can be found in their produce.